Ideal for preparing Tea, Coffee, Sweets, Curd, Cakes and Other milk based products. On reconstitution as per directions, 1 Kg of Amulya provides 8 litres of sweetened toned milk mix. Ideal for preparing Tea, Coffee, Sweets, Curd, Cakes and Other milk based products. 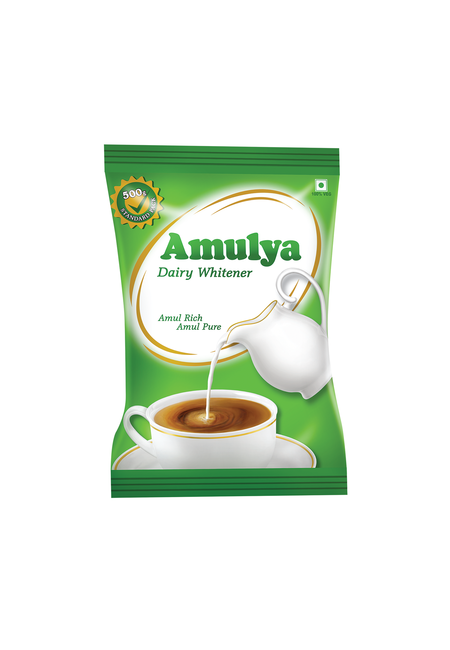 On reconstitution as per directions, 1 Kg of Amulya provides 8 litres of sweetened toned milk mix.